Today, this program helps meet this challenge, by reviewing information you need to protect yourself and others when working with hazardous materials and chemicals. We can't possibly cover all chemical hazards, but we simply want to provide some basic information to help reduce health hazards. This program provides tips on how to clean floors and leaving them with a safe surface. 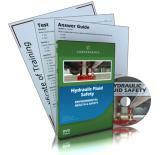 This DVD covers basic guidelines and best practices for working safely around common hydraulic equipment. From bottle jacks to forklifts and shop equipment, this course provides important information on the principles of hydraulics and the hazards that hydraulic systems can present. 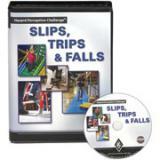 This DVD covers more advanced guidelines and best practices for safety in a variety of industrial workplaces. With safety topics including working around mobile equipment, hazardous chemicals, and moving machine parts, this course provides advanced concepts critical to establishing safe work habits for yourself and your team. The goal of this training program is to help you understand some of your job responsibilities that include safety. Safety is a major part of your job, no matter where you work or what type of job you perform. 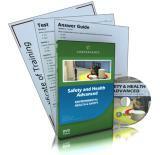 Meets OSHA training requirements for training new employees on safety basics. Janitorial equipment and supplies are expensive. 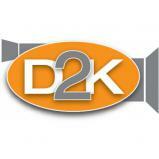 It�s important to properly store, use, handle and maintain cleaning supplies and equipment. This program is about taking care of your equipment and using the appropriate materials for the job to reduce waste and costs. Control of hazardous energy sources is a requirement that organizations must implement for the safety of all employees. This program explains the basic procedures, terminology and general requirements of controlling hazardous energy sources. Maintenance workers are relied on to keep organizations moving. It is a demanding job. They are exposed to all types of potential hazards such as electrical tools and equipment. This program focuses on safety procedures when using hand and power tools, drilling and cutting. This program covers the safe use of utility knives including the different types of knives that are available, techniques for cutting safely and how to change blades without getting injured. Back Injury Prevention - According to the National Safety Council and medical research, 20% of backaches are attributed to inflammation such as arthritis, 10% are due to actual back injuries and other miscellaneous causes, and 70% result from degeneration of spinal discs. Housekeeping In Manufacturing - In every working environment from office to manufacturing to construction, one of the most important responsibilities employees have is to maintain a clean, neat, and orderly workplace. 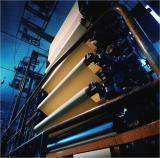 Safety is an important responsibility and it�s a condition of employment. Maintaining your workplace in a neat, clean, and orderly fashion is a big part of your job; and it�s certainly a big part of the safety program. Bacteria and Disease Control program covers how bacterium affects the janitorial and custodial professions and how it applies to cleaning. This short program is designed to outline some of the safety responsibilities and provide information about utility cart safety. This program teaches your employees the importance of using the correct fall protection. The informative video provides a detailed illustration of the various types of fall protection and how to properly use them to avoid a deadly fall. Restroom Cleaning - According to industry professionals, there is an increase in public awareness of what one can acquire from dirty restrooms. Because of this, owners, operators, manufacturers, distributors, and suppliers are all working hard to come up with systems and processes to make cleaning easier, safer, faster, and better. This training program will teach your employees how to protect their eyes from debilitating injury. They will learn what types of situations present danger to their eyes and the proper eye protection to use in each situation. Hazard perception challenge training for slips, trips and falls. People commonly work near or with many different hazardous chemicals. Pesticides, paints, solvents, acids, gasoline, compressed gases such as propane, and liquid cleaning products such as bleach are just a few of the hazardous chemicals workers can be exposed to on a regular basis.